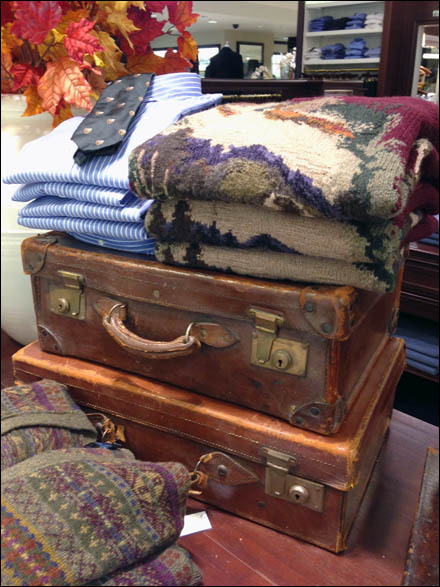 Vintage and particularly vintage valises are an ongoing theme in retail. Possibly it conjures mental images of carefree travel, or more civil and sophisticated times. Or is there just a glut of old luggage for sale on eBay? In any case, I pay homage to the popular trend with a token unbranded post. We once had items like this in the attic from immigrant forebearers arriving on these shores. Who knew they would become trendy. CLICK the gallery for a number of looks.